Apart from the normal search engine there are many code search portal available in the internet for free, which provides code snippets in almost all languages. Following are top 13 best Source Code Search Engines available till date. Google Code Search is an open source code search tool on the Internet allowing web users to search for desired piece of code such as regular expressions and it supported all the languages. The leading enterprise code search portal is allows programmers and developers to locate open source code and quickly share the code with other programmers on the internet as well. Bytemycode community making it easy to find, share, revise, comment on, and rate code snippets, Its designed to make the task of sharing source code easier. The public source code repository. Easily build up your personal collection of code snippets, categorize them with tags, keywords and share. DZone Snippets is a source for useful source code snippets. CodeFetch allows you to search in the source code associated with books, It also offer to choose the language to search on and shows the book results come from so you can read your favorites. Codase is the source code search engine that allows software developers to search Open Source repositories to find relevant source code. It now contains about 250 million lines of code in C, C++ and other software lauguages. Snipplr lets your store and share all of your commonly used pieces of code and HTML with other programmers and designers. It’s an online code snippet storage and sharing service. O’Reilly Code Search, where you can enter search terms to find relevant sample code from nearly 700 O’Reilly books. Single place to search all the code examples in every O’Reilly book. Jsourcery is the web site has provided Javadocs and hyperlinked source code for many open source Java projects for several years.Jsourcery provide Java developers with a resource for quick access to Open Source Java APIs. Merobase, is a software search engine that allows developers to find, share and reuse software components from the Internet, The search engine for software components. Search open source class files by keywords, signatures or junit tests. 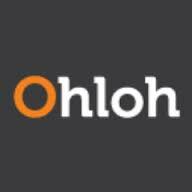 Ohloh-Code, the world’s largest, most comprehensive free code search engine! Koders the below search engine has now merged with Ohloh to become your one-stop. A search engine for open source code to easily search and browse source code in thousands of projects posted at hundreds of open source repositories. We would love to hear your experiences, views on these source code search engines. Please leave us a comment and share your views with us.